Let us help you achieve justice! Our staff has over 30 years combined legal experience and we dedicate ourselves to providing personalized service to our clients. We offer a FREE initial Bankruptcy consultation so you can meet with an attorney to discuss your current financial situation, evaluate which bankruptcy options are best suited to your needs and have all your questions answered. Legal help when you need it most. Contact us today and let one of our experienced attorneys review your situation to see how we can help. In whatever stage you are, from submitting the initial application to appealing a denial of benefits, you can count on us to guide you through the complex Social Security Disability claims process. When you are facing criminal charges, the full weight and resources of the police, prosecutor and the state are against you. You need an experienced defense lawyer to protect your rights and fight for your freedom in court. Whether you need help with Social Security Disability, bankruptcy, criminal defense, divorce/family law or other legal matters, we can help. Our philosophy stays the same: listen, discuss, provide sound and honest answers and help you make informed choices that you feel comfortable with. We offer cost-effective solutions to your most pressing financial and legal concerns. Meister & McCracken Law Firm PLLC, Attorney Rogers, Arkansas serving NW Arkansas area including Rogers, Bentonville, Fayetteville, Springdale and Bella Vista Arkansas. Meister & McCracken Law Firm PLLC was started in 2009 when Joshua R. Meister and Joanne M. McCracken joined to focus on Social Security Disability, Bankruptcy, and Criminal Law in Northwest Arkansas. Whether you need help with Social Security Disability, bankruptcy, criminal defense, divorce/family law or other legal matters, we can help. Our philosophy stays the same: listen, discuss, provide sound and honest answers and help you make informed choices that you feel comfortable with. We offer thorough, compassionate and cost-effective solutions to your most pressing financial and legal concerns. Our staff has over 30 years combined legal experience and we dedicate ourselves to providing personalized service to our clients. 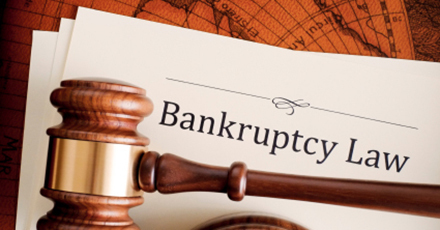 We offer a FREE initial Bankruptcy consultation so you can meet with an attorney to discuss your current financial situation, evaluate which bankruptcy options are best suited to your needs and have all your questions answered. Joshua Meister and Joanne McCracken, joined to form Meister & McCracken, Attorney at Law, in order to better serve the needs of individuals in Northwest Arkansas. Joshua concentrates his legal practice in the areas of Social Security Disability, criminal defense, civil litigation, bankruptcy and family law. Our firm understands the pain from overwhelming debt or the weight of criminal charges. Our job is to provide competent, caring representation to help you balance the scales of justice. Our approach is based on listening, discussing and providing sound and honest answers to help you make informed choices. Let us help you achieve justice.